You are here: Home / All Freebies / Got Spring Fever? Try This! It seems like winter hung on extra long and hard this year, but for most of us, it looks like spring has finally arrived! Time for shorts, flipflops, and kids with spring fever! When it strikes in your classroom, it sure does make teaching a math lesson after recess mighty challenging. 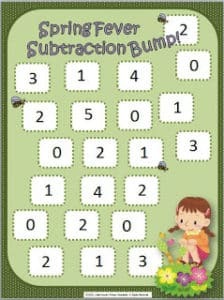 Here’s some help for you, in the form of Spring Fever Subtraction Bump! 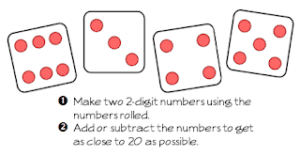 Just pop it into your math rotations to help get those brains back on track. 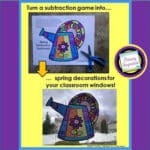 5 Easy Steps to a Spring Math Display! « Hi teacher friends and Happy upcoming Teacher Appreciation Day!